Linux Command Line Interface, (CLI from now on) could be at first glance discouraging for the average Joe, since nowadays we are only used to Graphic Interfaces. But don’t let you down, using a command line shell could be, not only very useful, but also kind of funny. This Tutorial will help you move your first steps in the command shell environment. Remote Connection via SSH: SSH remote connection allows to interact with Udoo without physical access to it. SSH is available only with command line interface. Your first ally, allows users to run programs with the security privileges of root, or superuser.Its name is a concatenation of “su” (substitute user) and “do”, or take action . 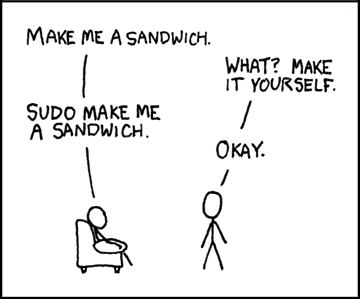 So, if you get an error message saying that “only root can do that”, just use the same command with preceeded by sudo. chmod let you set files permissions. This utility is very important for people concerned about security, but it is useful also for coders, since you can set a script as executable with it . Thanks to this command your SD card lifespan will drastically improve, remember to launch it every time you turn Udoo off, or remove the power. Completes all pending input/output operations. It must be launched as root, or with sudo.